SAN DIEGO — An investigation discovered a North County deputy was found deceptive to a question on a polygraph exam before he was employed with the San Diego County Sheriff’s Department. A transcript from a separate case involving the deputy, which is currently working its way through the federal court system, revealed this new information. According to the transcript from that case, Deputy Kyle Klein denied ever being associated with a white supremacist organization during a polygraph exam. The polygraph exam report indicated he was being deceptive to that question, the court transcript said. Klein is being sued for allegedly using excessive force against a North County man. 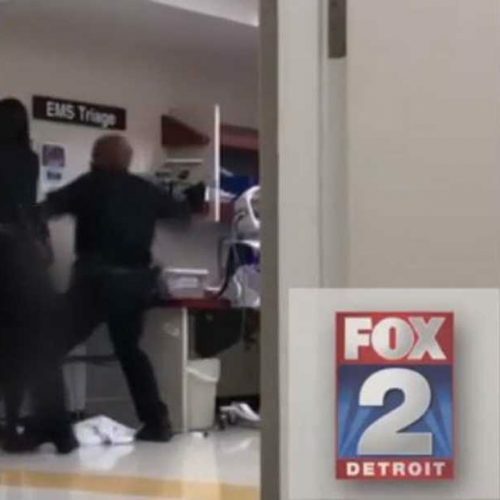 The lawsuit filed by Thomas deLeon III alleges that in December 2016 he was thrown to the ground and repeatedly punched and kicked in the area of his head, face, neck and spine. “Looked like he got beat up, like a whole bunch of guys punched him in the face,” said deLeon’s sister Marlene deLeon. Marlene said physical injuries aside, her brother is suffering emotionally. He was not up for an interview for this story, but his sister said wanted to tell his story. She said since his 2016 encounter with deputies he struggles to leave the house. According to court documents, deLeon was on his bike when deputies stopped him. “Thomas slowly retrieved his identification from his wallet and handed it to deputies. At all times, Thomas was standing over his bicycle with it between his legs. He was not moving in any direction. Then, suddenly and without warning, Thomas was violently slammed to the ground, his head hitting the asphalt/concrete,” his suit states. 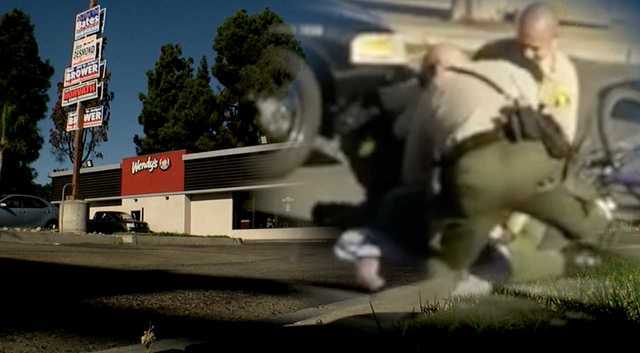 A bystander at a nearby fast-food restaurant captured the incident on camera, but the video doesn’t begin until deLeon is already on the ground. “He produced his identification, a brief conversation took place and the next thing was he was thrown to the ground,” said deLeon family attorney Brian Cline. Cline said deputies claim at some point Thomas deLeon resisted arrest and that’s why things got aggressive. 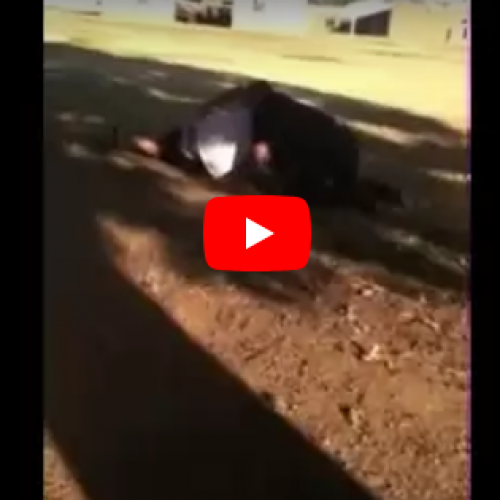 DeLeon’s lawsuit filed against the county, the sheriff and arresting deputies and others claims once on the ground Thomas deLeon was handcuffed, offered no resistance, and then violently beaten. “If you’ve ever seen a professional fight at the point where they stop the fight because it’s gotten too violent, this is where it started and then they continued,” Cline said. The Sheriff’s Department wouldn’t discuss the case with Team 10 saying the department can’t comment. Officials also declined a request for an on-camera interview. The county did, however, file a court document asking for the case to be dismissed. It alleges deLeon failed to comply with California’s claim presentation requirement and didn’t present a claim to the county. Court records show a person by the name of Tomas deLeon, with the same birth year and middle initial does have a criminal record. Records show he’s had several run-ins with law enforcement. But Team 10 discovered deLeon is not the only one who has been investigated. Deputies have files within the department. They are files that the public would never see, but if the information is brought up during a court hearing, it can become part of the public record. In June, one of the deputies named in deLeon’s suit, Kyle Klein, testified during a court hearing about a man arrested for allegedly possessing heroin with the intent to distribute and possessing a firearm in furtherance of a drug trafficking crime. During the hearing, a defense attorney cross-examining Klein brought up parts of his history with the department and before he was hired. According to the transcript of the hearing, Klein has had run-ins with internal affairs for inaccurate report writing and excessive force. It also states in 2016 he was investigated after a man called 9-1-1 on him. According to the transcript, Klein had issues with being truthful before he even joined the department. The transcript describes how Klein applied to the Riverside County Sheriff’s Department before San Diego County, but Riverside passed on him. In the transcript, it summarizes how he flunked a polygraph about a decade ago when he applied to the department in Riverside County. 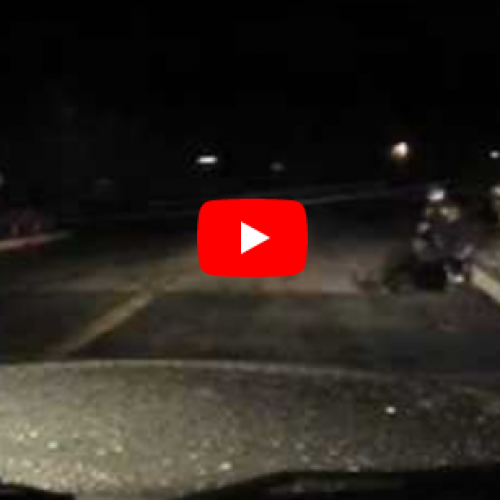 Late Thursday afternoon the Sheriff’s Department updated their statement with permission from Deputy Klein to include information from his file. “In early of 2007, Kyle Klein applied for a position with a law enforcement agency in another county. During the hiring process, deception was indicated during a polygraph when asked a question about past or current association with a white supremacy organization. He was not hired by that agency. conducted an in-depth investigation into that specific issue. The investigator searched social media and the internet, interviewed childhood friends and High School teachers (with past and present knowledge of him) and there was no information to substantiate he ever held any allegiance to such an organization. The investigator also reached out to the other agency about the claim. The other agency did not have additional information to offer. Klein began his career with the department as a Detentions/Courts Deputy in 2008. He took and passed a Computer Voice Stress Analysis (CVSA) (a truth verification tool similar to a polygraph) and a comprehensive psychological exam for his initial hiring. In 2013, he applied for and became a Law Enforcement Deputy. He took and passed a second CVSA and psychological exam at that time. The department has conducted two background investigations on Deputy Klein. It’s important to note, not all polygraph examinations are accurate. Some courts have rejected the use of polygraph evidence. “That is an instant red flag and in my opinion an instant disqualifier,” said Dave Myers, a former San Diego County Sheriff’s Department. Myers recently ran for Sheriff and lost. He retired from the department shortly after. Team 10 asked Myers to read through the transcript. He said if other department’s pass on candidates in a pre-hire background investigation, it’s another red flag to look into why. “If the department really wanted to hire this person because they were such a spectacular hire, I meant that would have to have been extremely vetted because in my experience, this is not the type of candidate we would want in law enforcement,” Myers said. Marlene deLeon said the incident has been hard on their family. She said she wants to see her brother happy, something he’s struggling with. DeLeon is suing the county and three deputies involved. One of those deputies is no longer with the department, another is assigned to the Valley Center substation, and Klein is currently assigned to the traffic division at the Vista Patrol Station. The Sheriff’s Department tells 10News that it takes the process of hiring new Deputy Sheriff’s very seriously. According to sheriff’s department spokesperson, the process is complex and includes an on-line application, a written test, an extensive background process which includes a lengthy questionnaire and a reference check of family, co-workers, roommates, schoolmates and more, a truth verification exam, an oral interview and medical and psychological testing. Only about one out of 135 applicants successfully completes the process. Once hired, there is a 26-week training academy. The department says it has a zero tolerance policy for abusive or discriminatory behavior. The public can be assured we take these matters very seriously and take appropriate actions if such instances are discovered or reported, the spokesperson said.